Rich in antioxidants, The Pendulum Potion is a blend of high quality vegetable oils such as tamanu, camelia, macadamia, avocado, olive, plum kernel and cacao. Image courtesy of May Lindstrom Skin. Along with cleansing, the oil can be used for moisturizing face and body. Perfect choice for light traveling. 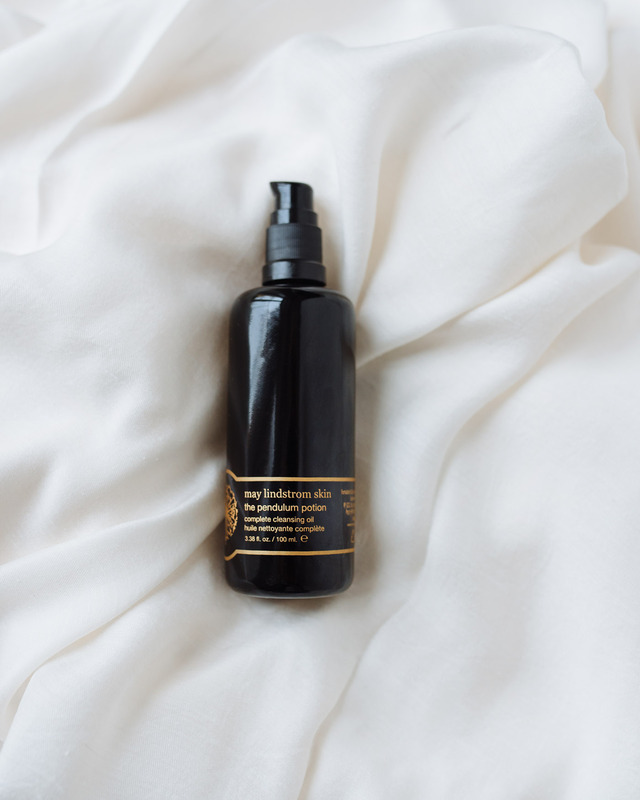 The newly introduced Pendulum Potion cleansing oil is the first product in May Lindstrom’s line that did not completely shake up my beauty routine. That does not mean I don’t love it, I do. But after pampering my face with clays and spices, mud puddings and a face balm that is blue, rather than an adventure, a simple cleansing oil feels very natural and basic. I wrote about oil cleansing in the summer and the method suggested for Pendulum Potion is pretty much the same. After shaking bottle, distribute 4-6 pumps of oil into palms and massage onto dry face and neck. Wet your hands with warm water and continue massaging for a minute or two. You will feel your skin warming up and softening. If I am wearing makeup, I like to do the first wiping with a cotton pad, then add a little more oil and go through the steam ritual. 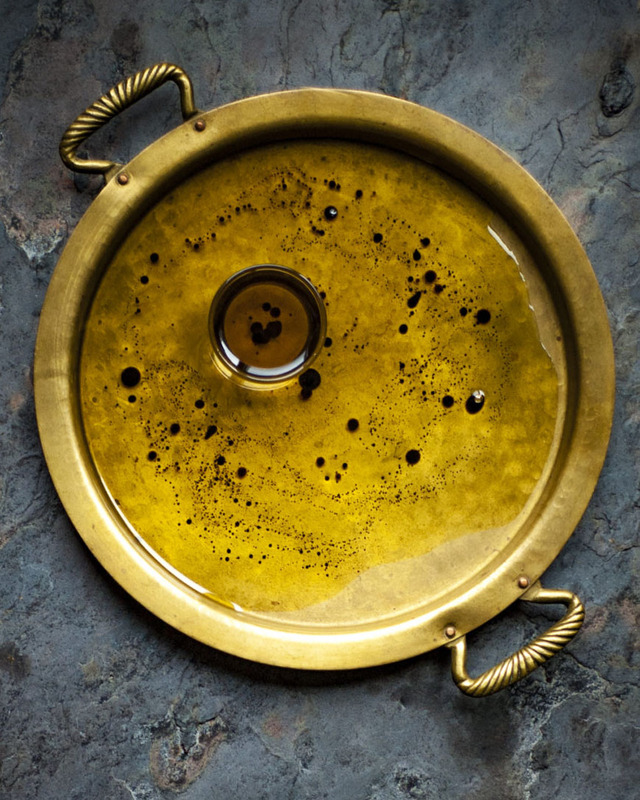 Learn more about The Pendulum Potion here. My notes on oil cleansing here.